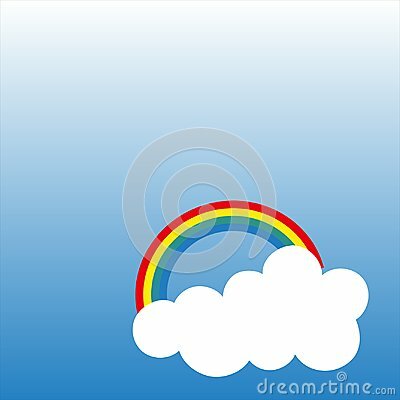 Rainbow with clouds, vector illustration isolated on blue gradient background. The mood of the clouds is different. Color illustration of a cat embracing a planet. Cat with closed eyes and clouds. Tattoo idea.